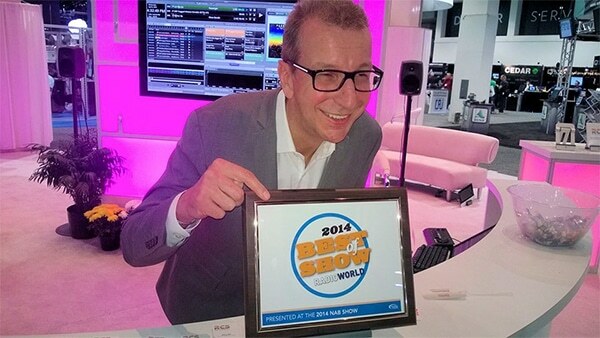 A delighted Philippe Generali (President/CEO of RCS) with the “Radio World Best of Show Award” presented to RCS for its newly released Zetta 3.0 automation/playout system. 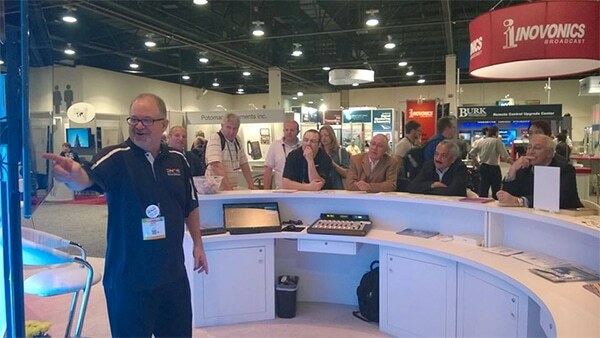 The multiple award-winning Zetta and its mobile companion, Zetta2GO, caused a one-word reaction over and over again at the NAB in Las Vegas: “Wow!” Philippe paid tribute to the “fantastic Zetta development team” who keep raising the bar month after month. 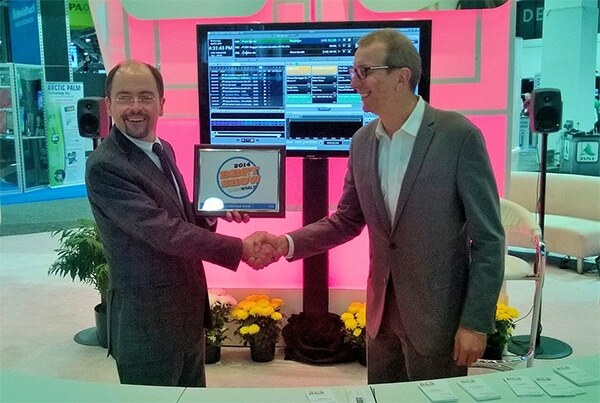 Radio World’s Paul McLane (left) presents the Radio World “Best of Show” award to RCS President/CEO, Philippe Generali for Zetta 3.0, the star product of NAB 2014. RCS’ Barry Hill completed continuous demonstrations of our award-winning automation/playout system – Zetta 3.0 – with its jaw-dropping companion, Zetta2GO that gives you a radio station in the palm of your hand – using ANY platform you choose.